Are your hips, knees, or ankles having trouble keeping up with the rest of you? 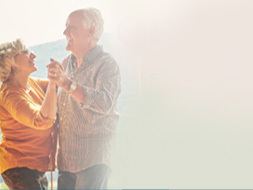 When you’re living with joint pain, you’re not making the most of life. 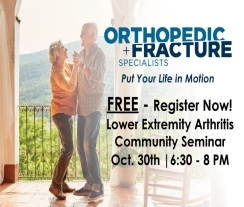 Put Your Life in Motion with with help of Orthopedic + Fracture Specialists and attend this FREE talk to hear about the latest surgical and non surgical treatment options and how the latest technology results in better outcomes and shorter hospital stays! Come listen to Drs. 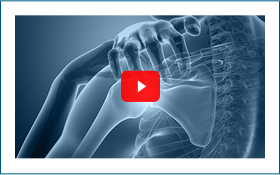 Alex DeHaan, Alec Denes, Robert Tennant, James Davitt, and Kimberly Workman talk about both operative and non-operative treatment of arthritis in the hip, knee, and ankle that comes with age and overuse of bones and joints. Get your questions answered from the providers themselves. Whether it’s your hip, knee or ankle that bothers you, take the first step to Put Your Life in Motion.